An Awesome find!!! 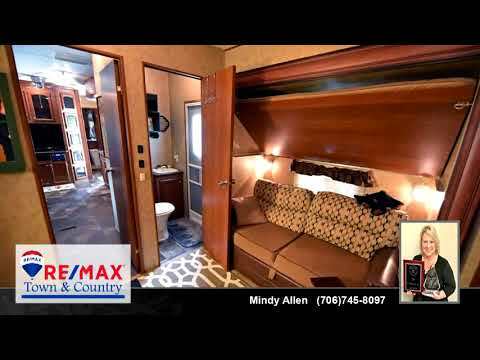 2BR/1.5 BA 2013 Dutchman 43' w/ 4 Slide outs. Located in Arrowhead Valley RV Park. Pull through Lot!!! HUGE Living Deck and lots of Parking space. The inside is beautiful featuring Zero Steps from room to room, 3 Exit Doors, Lots of Cabinets and Storage. Master has Queen Bed w/ Full sized Shower in Bath. 2nd Bedroom is set up as a TV den w/ Pull out couch, Futon, AND Bunk plus a Half bath. There is a storage shed and landscaping. This place is awesome. Community Pool and Pavillion. Fees are only $520/year which includes Wifi, Cable TV, sewer, Garbage pickup, ground maintenance, and common area of Pavillion, Pool, Laundry room, Roads.